Tube bending machine mainly used in power construction, public railway construction, boilers, bridges, ships, furniture, decoration and other aspects of pipeline laying and building. It is also one of the most important equipment in tubing machinery category. The advantages including multi-functions, reasonable structure, simple operation and so on. Categories include: Hydraulic electric bending machine, horizontal hydraulic pipe bender, multi-functional rolling pipe bender. 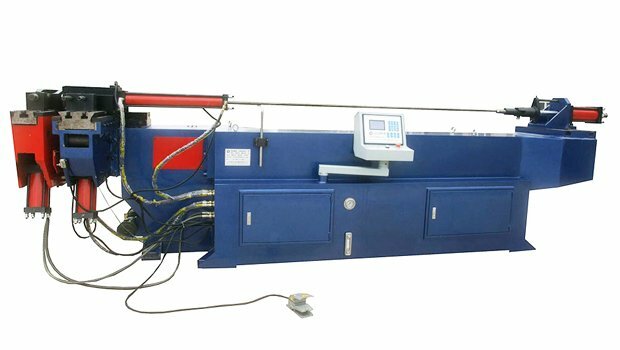 Hydraulic tube bending machine decompose the bending operation, which includes driving clamping to retract with hydraulic pressure, bending pipe back, auxiliary move forward and backward, feed and retreat the core. 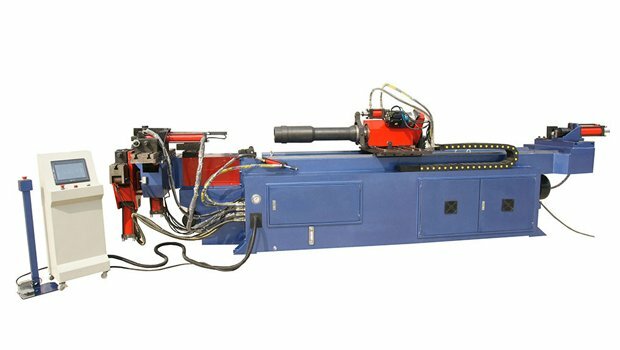 Hydraulic pipe Bender is a common plane winding automatic bending machine, the bending action is automatic during pipe bending production, but its feeding, three-dimensional corner rotation can only rely on manually fixed length and angle positioning gear. CNC Pipe Bender adopt servo motor instead of hydraulic, which is able to control feeding and retract, rotation of tilting angle, tube bending and retract, auxiliary move forward and retreat, head lift, etc., but its clamping and release, core feed and retreat are driven by hydraulic or pneumatic. The difference between CNC tube bender and hydraulic pipe Bender is the continuous production, processing precision and three-dimensional forming of pipe fittings. Provide their own research and development of the coordinates of the conversion of pipe processing value, the software can be purchased and installed on the desktop computer for editing calculation. The pipe bender is similar to the sheet bends. In the case of pure bending, if the outer diameter is D, the wall thickness is T, when the tube is bending under the external torque M, the outer side tube wall of the neutral layer is under tensile stress σ1 and the tube wall becomes thinner. The inner wall of the neutral layer is under tensile stress σ1 and the wall becomes thick. And the shape of the cross-section turns into an approximate ellipse due to the resultant force F1 and F2, when the deformation is too large, the outer side of the wall will produce cracks, the inner tube wall will appear wrinkle. The degree of deformation of the tube depends on the relative bending radius R/D and the relative thickness T/D value, the smaller the R/D & T/D value, the greater the degree of deformation. In order to ensure the forming quality of pipe fittings, the deformation degree must be controlled within the permissible range, and the bending limit of the pipe is not only dependent on the mechanical properties and bending methods of the material but also the requirements of the pipe fittings. If the tube fittings have a strength requirement for internal pressure bearing, control the forming limit of the wall thickness thinning. Rocker arm, its role is to ensure that the bending radius of the pipe to meet the requirements, the clamping seat is to limit the steel pipe rebound in the bending process. The pump station is divided into two parts, high pressure and low pressure, to provide power for guiding roller opening and closing, rocker arm clamp seat oil cylinder, push device trolley card plate open and close, straightening roller open and close. The Guide roller device has two sets of guiding roller and the frame and the clamping transmission system, the open and close of guide roller is driven by the hydraulic, its function is complete the horizontal direction of the steel pipe bending with the rocker arm together. 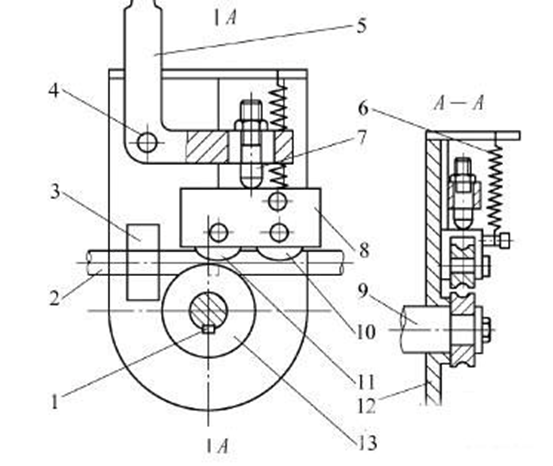 T4, The driving device is the power source of the push device. Straightening roller is to prevent the vertical deformation in the process of bending, and the use of floating anti-ellipse fixture to ensure that the steel tube ellipse can meet the requirements after bending. Push device (contains the car, bed, transmission shaft, traction chain, etc.) to promote the steel pipe forward, under the action of the rocker arm and guide roll to bend the steel tube. (1) Reference to the electric pump manual. (2) The working cylinder is first screwed into the inner thread of the square block so that the rear end of the cylinder is mounted on the support wheel. (3) According to the diameter of the pipe to select the die head, set in the plunger, the two rollers corresponding to the groove toward the die head, then put in the appropriate size of the flower board hole, and then cover the upper flower board, insert the pipe into the groove, and then pull the quick joint active portion of the end of the high-pressure tubing back, and set on the work cylinder connector, tighten the oil release screws on the electric oil pump to bend the tube. When the tube bending is finished, loosen the oil release screw, and the plunger will automatically reset. (2) Do not remove the quick connector when loading. (3) The machine is using oil as the medium, must do a good job of cleaning and maintenance work for oil and tube benders to prevent blockage or leakage of oil, which will affect the use. remove the bending die fixed nut in the counterclockwise direction. put in the bending die, and then lock the bending die fixed nut. pull the clamping die for fixing centering shaft. put the clamping die in, then insert the fixed mandrel. A. fix and relax the clamping seat, then set the control panel into manual mode, press the clamp button to the end of the clamping path. (At this point there should have clearance between the wheel clamping die, can be adjusted by using clamping seat to adjust screw). B. adjust clamping seat to adjust screw so that clamping die and bending die will be completely sealed. C. press the back button to make the clamping die back, and then adjust the clamping screw clockwise rotation about1/2-1/4 circle. D. and then lock the clamping seat fixed nut. A, remove the fixed screw on the pressure die and then put the pressure die in. B, lock the guide mold screws. A, fix and relax the clamping seat, then set the control panel into manual mode, press the clamp button to the end of the clamping path. (At this point there should have clearance between the wheel clamping die, can be adjusted by using clamping seat to adjust screw). B, adjust clamping seat to adjust screw so that clamping die and bending die will be completely sealed. C, press the back button to make the clamping die back and then adjust the clamping screw clockwise rotation about1/2-1/4 circle. D, and then lock the clamping seat fixed nut. A. put the mandrel into the core rod in the clockwise direction. B. then fix the screws of the mandrel. The machine tool must be grounding well, the wire should not be less than 4mm2 copper flexible cord. Do not allow access to more than the specified range of power supply voltage, cannot plug in or out during charging, cannot test the control circuit with tramegger, otherwise will damage the device. In the insertion and extraction of the connector, can not pull the wire or cable, in case of welding pull off. Limit switches, encoders, etc. cannot be hit with hard objects. No sharp object collision display unit. The electrical box must be placed in a ventilation place and prohibited from working in the dust and corrosive gases. No personal loading or switching of PC input and output terminals. When changing the power supply of machine tool, the motor must be reconfirmed. The machine should be kept clean, special attention should be paid to the clamping block, sliding block and other sliding slots should not have foreign objects. Lubricate the chain and other sliding parts regularly. The power supply must be disconnected during cleaning and maintenance. Pressure adjustment: adjust the pressure with the electromagnetic overflow valve to ensure that the pressure of the system is up to the required work pressure, generally not higher than 12.5Mpa. 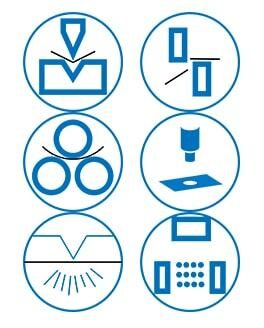 Mold adjustment: mold installation, required to center mold and clamping block, clamping block can be adjusted by bolts; to center boost block and die, boost block is adjustable; center the core head and the die, loosen the core of the bolt, adjust the center and tighten the bolt. When the tube bending machine is moving, notice that the body is not allowed to enter the rotation sweep of the rotating arm. When the tube bender works, all personnel are prohibited from entering the space of the rotating arm and the pipe fittings. 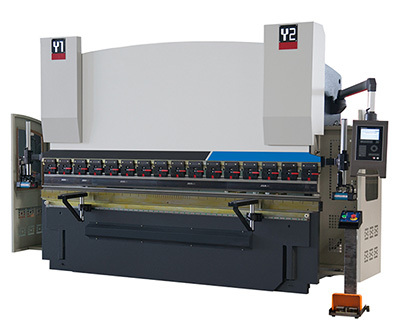 The hydraulic system of the tube bender adopts YA-N32 normal hydraulic oil (original number 20). Normally change the oil once a year, the filter must be cleaned simultaneously. When adjusting the tube bender (or die), Adjustment of should be made by the regulator. One person adjusts the machine is prohibited, and the other operates on the control cabinet. When adjusting tube bender or driving an empty car, remove the mandrel. The pressure of hydraulic system shall not be greater than 14Mpa. When adjusting the cylinder speed manually, the rotating arm should be rotated to more than 900, The speed of adjustment is synchronous with the linear velocity of the edge of the rotary elbow. It is forbidden to push the speed greater than the edge of the rotary mold in the manual state. After a period of time, the general machine should check the tightness of the chain and keep the chain elastic and consistent. Automatic operation in a core bending mode, return to former bent arm, the operator must ensure that the core head in the pipe, or ensure that core shaft without blocking phenomenon when bent arm back, otherwise, the core head or core rod can be bent or broken. After work, cut off the power supply do a good job on cleaning and lubrication. 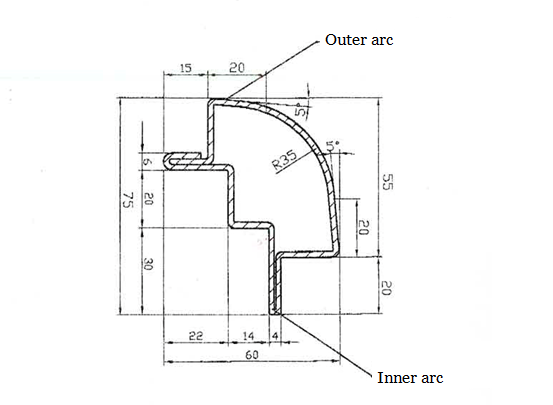 Design and the exhaust pipe to avoid big circular arc, any curve, composite bending and the circular arc is greater than 180 °. Arbitrary curve and composite bend design are unreasonable, which greatly hinders mechanization and automation, making it difficult for operators to get rid of heavy manual labor. Arc more than 180 ° make pipe bender can’t discharge. If the speed is too slow, easy to cause the wrinkling of the catheter and the pressing block to slide, the tube of the big pipe is easy to form the ducted part of the sink. 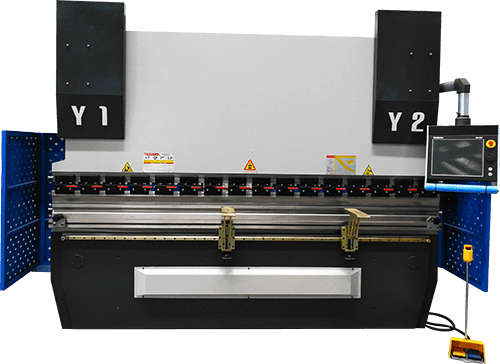 In order to determine the maximum bending speed of the machine, the final best bending speed should be 20-40% of the max bending speed of the tube bender. The bending radius should better achieve “one tube and one die” and “multiple pipes and one die”. For a pipe, or have a few bending positions, or have several bending Angle, the bending radius can only have one because the module of pipe bending machine will not be changed in the process of bending, which is “a tube corresponding to a die”. While for “multiple tube with one die”, it means the pipe with the same diameter should try to use the same bending radius, also is to use the same modules for bending tube with different shapes, this is helpful to reduce the number of modules. In the bending process, the mandrel is used to support the inner wall of the tube bending radius to prevent its deformation. 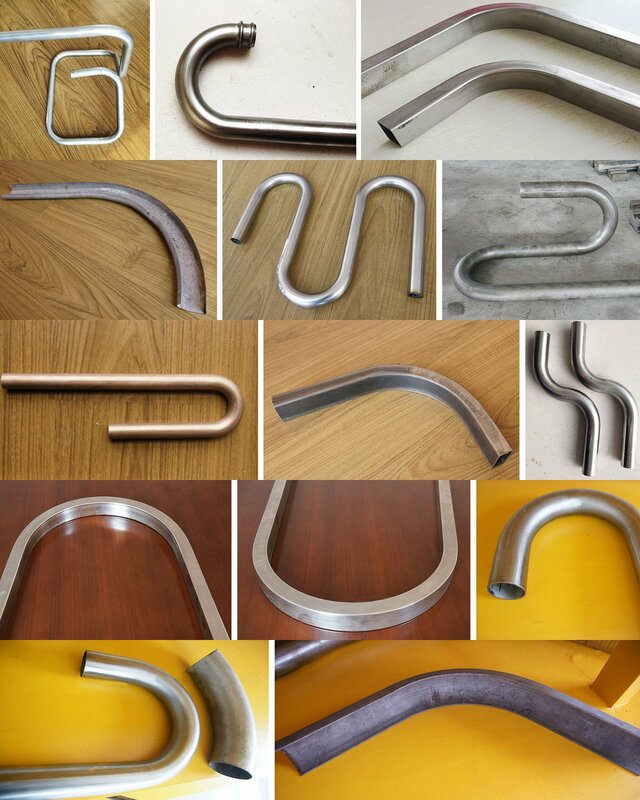 It is difficult to guarantee the quality of tube bending without the mandrel. There are many kinds of mandrels such as the cylindrical mandrel, universal single head, double head, triple heard, four-ball head mandrel, orientation single, multi-ball head mandrel, etc. In addition, the position of the mandrel in the tube forming has a certain influence, in theory, the tangent shall be at the same level as pipe bending die tangent, but a large number of experiments prove that advance 1 ~ 2 mm is better, the bending quality is ideal at this time. Of course, if move too much will appear the so-called “goosehead” in of the outer wall of the curved part.